Factory worker Xolani travels to a rural part of South Africa to initiate young boys in the coming of age ritual called ukwaluka. However, he is really hoping to reconnect with a childhood friend. Lodge, Guy. 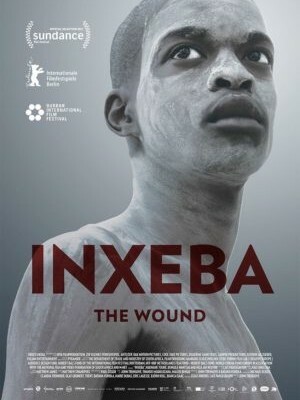 "Sundance Film Review: 'The Wound.' Variety, January 2017. Erlich, David. "Adult Circumcision Drama Cuts the Tension Between Masculinity and Modernity." IndieWire, August 2017. Linden, Sherry. "The Wound: Film Review | Sundance 2017," Hollywood Reporter. January 2017. Watson, Keith. "The Wound." Slant Magazine, March 2017.